After accepting a unanimous call from the church to serve as our Pastor, Alasdair commenced his ministry in August 2014. Alasdair is married to Alison who is a doctor. They have two teenage children, Angus and Catriona. 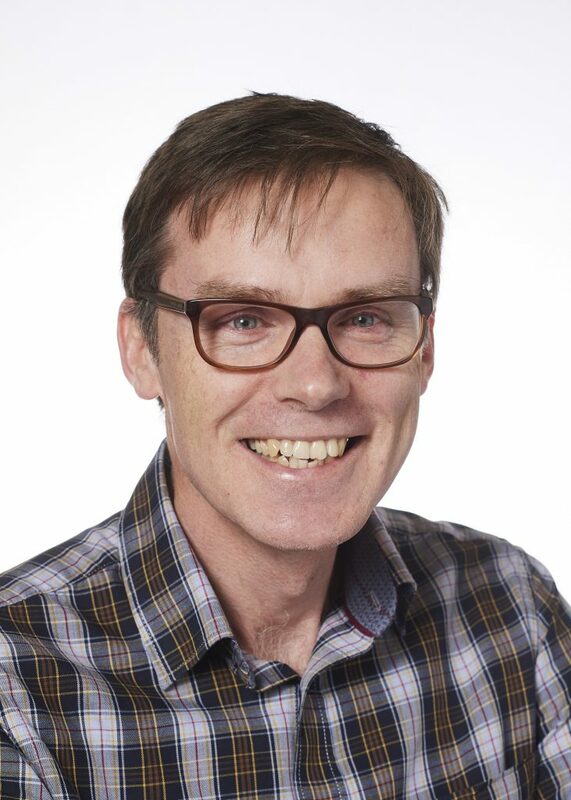 Alasdair grew up in Inverness but left in 1987 to commence a business studies degree in Edinburgh. During his student years Alasdair was searching for God and put his trust in the Lord Jesus Christ in April 1989. In October 1991, Alasdair had a spiritual experience while listening to a sermon from 2 Timothy 4:1-7, “Preach the Word.” Ever since, Alasdair has been passionate about communicating the message of the Bible and God’s amazing gift of life to the full in Jesus Christ. Alasdair arrived in Newcastle Upon Tyne in 1992 and married his next door neighbour Alison in 1996. Alison was working as a hospital doctor at the time and Alasdair as a buyer in the Nissan car factory. In 2000, at the same time as they were expecting their first child, they moved to London for Alasdair to commence three years of study at London School of Theology. Since 2003, Alasdair has served as Pastor of Bushey Baptist Church, Watford and Lead Pastor at Billericay Baptist Church, Essex. Alasdair enjoys learning to help him be a better Pastor. He has completed training in Christian Counselling and more recently an MLitt in Biblical Studies from St Andrews University. He spends his free time mainly supporting the interests of his teenage children but when there is opportunity Alasdair enjoys 5-a-side football, cycling and golf. Alasdair is really enjoying being back in his home town and the privilege of helping CCC build on 40 years of sharing the good news of Jesus Christ with this community.